taught by industry professionals. We teach babies to adults, beginners to advanced in a fun and relaxed environment. Become the dancer you're destined to be at 100 Percent Dance! Students from 3 years to Professionals. Private singing tuition levels. Syllabus: RAD Classical Ballet, Glenn Wood Tap, Tapatak0Z.Open classes in all other genre. For all ages and stages. Award winning performance groups. 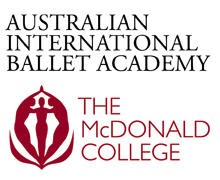 Students as Junior Associates of the Australian Ballet School. 2008 Australian Junior Dancer of the Year is All Starz student Emily Seymour, who also has the lead role of 'Clara' in Graeme Murphy's 'The Nutcracker'. Syllabus: RAD Classical Ballet and Tapatak 0Z. Open classes in all other genre. THE PLACE TO BE! There is something for everyone at All Starz, depending on what the individual wants to gain from their training. You can take dancing as a hobby or for fitness and do one or two class per week, or challenge yourself to reach your full potential by learning many styles of dance. 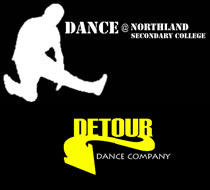 Learn Jazz, tap, hip hop, musical theatre, contemporary, lyrical, acting, singing, acrobatics. 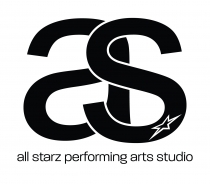 We have specialised Ready Set Dance classes for preschoolers and Boys Hip hop crews. Teachers are experienced and nurturing and our staff are friendly and always willing to help. Located at Henry Lawson Drive Peakhurst, in a 5 studio complex. Call us now 95336589 to book your spot today! Syllabus: Students study Board of Studies approved curriculum leading to their HSC, along with extracurricular performing arts activities. Style: ballet, contemporary, modern, tap, jazz, hip hop, funk and more, along with studies in Music, Musical Theatre, Drama and Visual Art. 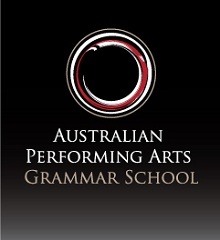 Established in 2005, APGS is a boutique institution, dedicated to nurturing and encouraging the highest quality in performance and academic excellence. Our curriculum is designed specifically to inspire and educate young people who, in addition to their academic studies, aspire to focus on Music, Drama, Dance, and/or Visual Arts. Discover the Passion of Argentine Tango with Pedro Alvarez & Hosanna Heinrich, Australian Tango Champions with combined tango teaching experience of more than 20 years. Style: Classical Ballet, Contemporary Dance, Singing, Acting, Musical Theatre Practicum, Jazz, Tap, Hip Hop, Acro, Music Appreciation, Personal Career Management, History of Dance/Musical Theatre, Health Science, Conditioning. Director of AIBA, Mrs. Jacqui Dumont ARAD AIBA offers a comprehensive Pre-professional Classical Ballet training program unique in Australia designed to equip graduates for a career in the world of dance. 2 Options available: 1. Full time Classical Ballet training (without Academic studies); or 2. Classical Ballet training for Students in Years 9-12 whilst undertaking Academic Studies through to HSC. By audition only. Brent Street is a registered training organisation (RTO # 91488) offering nationally recognised training qualifications in live performance and entertainment to passionate individuals who are intent on a career in the performing arts. 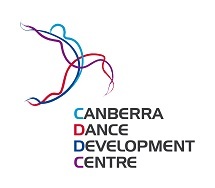 CDDC’s vocational dance course allows young dancers to participate in a graduated training course from part to full time daily dance tuition alongside the students’ academic studies in public or private high schools and colleges in the ACT. Students are able to specialise in classical ballet, contemporary dance or musical theatre/commercial dance. Style: Jazz, classical ballet, contemporary, lyrical, core dynamics, hip-hop, tap, pilates, Broadway jazz, acting, solos vocals, ensemble vocals, acrobatics, cultural dance, choreography, anatomy, physiology, first aid and dance history. Professional tuition in all aspects of Spanish dance and Flamenco to an international standard. Fresh new dance school with Direction. Style: Jazz, Ballet, Partnering, Tap, Hip Hop, Cabaret, Acting, Singing, Music Theatre, Fitness, Acro, Contemporary, Make-up, Nutrition, Tax and business knowledge, Heels, Anatomy, Music Theory, JFH and more. Personalised training by highly experienced professionals. We offer a huge range of classes from baby beginners through all the RAD Grades and Majors to Solo Seal plus vocational courses and open classes for professional dancers. NEW! various short courses and adult classes also available soon! E-mail or phone for friendly advice. Style: Musical Theatre, Ballet, Tap, Jazz, Contemporary, Hip Hop, Acting, Singing, Harmonies, Acrobatics, Pilates, Yoga, Performance Coaching, Music Theory, Audition Technique Television/Film Acting, Anatomy and History of Musical Theatre. The mission of ED5INTERNATIONAL is to create, enhance and elevate the profile of Australian performing arts within the country and on the world stage. We deliver the highest level of performer and achieve this through dedication, discipline, talent and a lot of laughter and love. 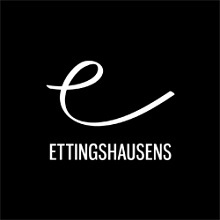 Revolutionising the way dance-based courses are delivered, Ettingshausens combine a nationally recognised course qualification which covers off on compulsory units of competency with the added value of classes led by affiliated industry professionals to further your technical development, performance artistry and provide you with exposure to the industry you aspire to work in. Style: Contemporary/Classical, Jazz, Musical Theatre, Hip Hop, Contemporary, Tap, Acrobatics, Lyrical Personal Training & Body Strength Techniques, Drama, Singing Audition Techniques, Makeup, Film, Website Promotion, Styling. Under the Direction of Sarah Boulter & Lisa Bowmer, Ev&Bow has a reputation of supreme quality. It is the premiere studio for innovation, passion and outstanding results. 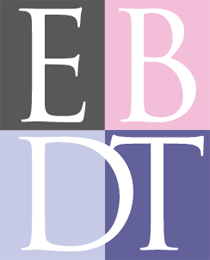 Ev&Bow selects exceptional dancers into a nurturing environment providing personal care & boasting limited class sizes. Style: Comprehensive training in Ballet, Repertoire, Pas de Deux, Contemporary, Jazz, Vocal Training, Musical Theatre, Pilates, Drama and much more are offered. dance, dance teaching and related fields. Style: Jazz, Ballet, Tap, Contemporary, Hip Hop, Musical Theatre, Commercial Jazz, Acrobatics, Drama, Singing, Deportment, as well as specialized classes in Performance and Choreography. JCMOD sets the standard of excellence in dance, performance and musical theatre training. JCMOD are proud to offer a high standard of training, complemented by outstanding facilities used regularly for industry rehearsals and auditions. Style: Commercial Jazz, Broadway Jazz, Classical, Contemporary, Hip Hop, Tap, Street Tap, Acrobatics, Pilates, Weight Training and Conditioning, Singing, Acting, Small Business Management, Safe Dance, First Aid, Theatre Make Up and Hairstyles. Style: Accent Training, Acrobatics/Gymnastics, Acrodancer, Acting, Anatomy & Nutrition, Ballroom Dance, Choreography, Classical Ballet (RAD), Contemporary, Dance Psychology, Heel Technique, Hip-Hop, Industry Practices, Jazz - Broadway, Jazz - Commercial, Kicks Turns Leaps (Ktl), Lyrical, Musical Theatre, Musical Theatre Theory, Partnering, Pointe, Pop Vocal, Private Tuition, Professional Development, Psychology, Silk Tissue, Trapeze & Lyra, Stage & Screen Choreography, Stage & Theatre Practices, Stagecraft, Tap, Theatre Dance, Theatre Vocal, Theatrical Make-Up, Tumbling/Flips, Vocal Ensemble. Style: The Diploma in Musical Theatre prepares students for a career in the professional Musical Theatre industry through technical dance, acting and vocal training with working industry professionals, as well as body conditioning and nutrition training. 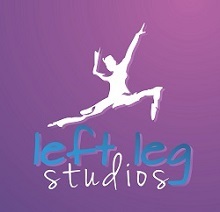 Left Leg Studios exists to give those interested in the Performing Arts industry a program thats sole focus is to prepare you for the professional market. 'DANCE - SIMPLY FOR THE LOVE OF IT' Outstanding reputation for a warm & friendly atmosphere - Inspiring confidence, creativity & artistry. Explorations of dance & theatre through excursions, masterclasses & workshops. Tertiary qualified & industry professional teachers. 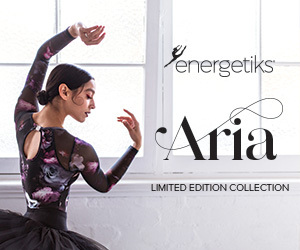 Style: Classical Ballet, Contemporary Dance, Repertoire in each of the afore-mentioned Units, Jazz Dance, Partnering, Choreography, Musical Theatre, Anatomy and Nutrition, Music Connection, Body Conditioning, Career Planning. Producing outstanding results in the past 4 years with students completing both Diploma in Dance (Elite Performance) and Cert IV in Dance, the National College of Dance are creating the future leading artists in Australia. 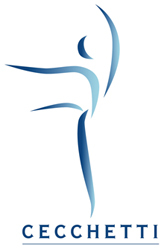 The classical programme consists of classical technique, contemporary technique, pas de deux, repertoire, virtuosic coaching, pointe, stretch and character. Separate men’s classes give particular emphasis to elevation, pirouettes and batterie. 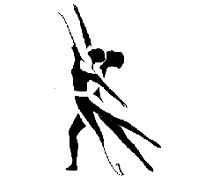 The contemporary programme consists of contemporary technique, classical technique, repertoire, partnering, choreographic practice, tumbling, contact, yoga, and improvisation. Dancers also gain performance experience during their course and in the third year have opportunities for secondments and professional placements. Our aim is to provide professional training within a creative, caring and challenging environment where every student can reach their full potential. 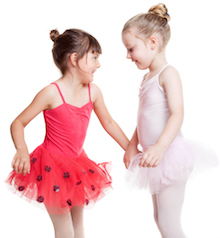 Newcastle Ballet Theatre offers expert tuition in a wide range of ballet classes for all ages - from tiny tots & beginners to pre-professionals and adults. Focusing on Classical Ballet, NBT is proud to be the first school in NSW to introduce the Australian Conservatoire of Ballet (ACB) Syllabus. The ACB has proven to be a very successful syllabus in Victoria, Queensland, South Australia and throughout the Philippines and Asia. Based on Russian training methods, the syllabus combines the use of open format classes to develop fast thinking dancers, and carefully thought out set exercises. The results are dancers with a strong classical technique from a young age, able to grow and adapt quickly. Principals Kristy and Rider chose the ACB Syllabus over other options after teaching students raised in this syllabus, while living on the Gold Coast in 2011. Seeing the quality of dancers it was producing, and the preparation it provides advanced students for a life in the professional dance world, the ACB was a clear and easy choice. Newcastle has historically been fertile ground for ballet talent in Australia. With the ACB Syllabus, NBT aims to honour that legacy while continuing to push forward to even greater levels. Newcastle Ballet Theatre is only in their fourth year, but have already graduated dancers into the Australian Conservatoire of Ballet, one of the top Full Time programs in Australia, and have had students accepted into various Summer programs throughout Europe and in New York. Students from NBT have also been accepted into the Australian Ballet School Interstate program, Joffrey Ballet School in New York and School of Ballet Theatre UK. Syllabus: Full Time Performing Arts (Cert II, III, IV), Full Time Musical Theatre (Diploma), The Academy - High School of Performing Arts. 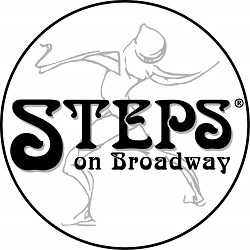 Style: Jazz, Ballet, Contemporary, Musical Theatre, Lyrical, Tap and Acrobatics, as well as group vocal lessons. 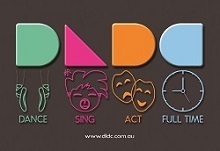 Patrick Studios Australia offers one of the most successful performing arts courses in the country. We specialise in hip hop & street styles, but believe in the importance of traditional styles. All styles taught by industry professionals. We offer a high level of choreography, dance technique in a fun and safe environment. We cater to all levels, ages and styles. Our students have the opportunity to be taught by international choreographers and perform in competitions and shows. Style: Classical Ballet, Pointe, Pas de Deux, Repertoire, Character Dance, Contemporary, Body Conditioning, Drama/Mime, Live Performance. Developing the artists of the future plays an important role in Queensland Ballet's vision. 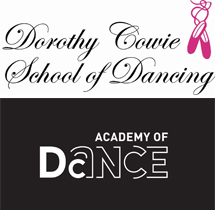 Their aim is to provide a clear career pathway through intensive training, and to produce young ballet dancers whose talents and abilities are internationally sought-after. Style: Hip Hop, Ballet, Jazz, Contemporary, Pilates, Stretch and Strength, Males Breakdance, Toddler Dance, Disabilities Dance, Christian Inspirational dance classes. SCD is no ordinary dance studio, it's now in it's 11th year and has become one of Australia's leading faith based dance studios. It is a remarkable dance studio that offers world class teachers that are dedicated to creating relevant dance and dance that speaks life into our world. 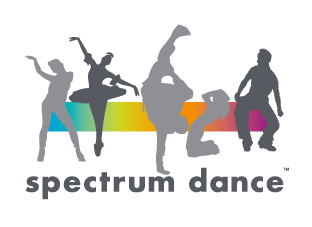 Syllabus: Spectrum Dance runs a Full Time Performing Arts Program. In addition Spectrum Dance, in partnership with the Australian Teachers of Dancing (RTO#31624), offer Certificate IV in Dance, Diploma of Musical Theatre and Diploma of Dance (Elite Performance). Style: Classical ballet, Singing – group/private, Jazz – technique/progressions, Drama, Jazz fusion, Acrobatics, Pas de deux, Stagecraft, Hip hop/funk, Musical Theatre, Tap – traditional/street/funk, Partnering, Modern/contemporary, Business management, Lyrical, Industry knowledge, Commercial, Choreography, Pilates, Fitness training, Stage Makeup, Auditioning Techniques, On-camera performance skills. Style: ISISP – Dancers create their own dance schedule (48 classes per month) from over 40 daily classes in ballet, pointe, floor barre, contemporary, modern, theater dance, jazz, hip hop, tap, world dance, Pilates, yoga, Gryokinesis, and Zumba. ISISP – Students may enroll for three, six or twelve months with semesters beginning on the first Monday of every month. Completed applications must be received at least two (2) months prior to enrollment date. Syllabus: CUA40113 Certificate IV in Dance. 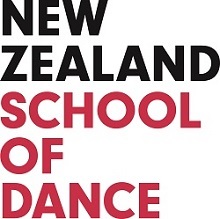 Style: Contemporary dance technique, Classical ballet technique, Improvisation and composition, Partnering, Repertoire classes with members of Sydney Dance Company, Repertoire workshops from international choreographers, Professional development including audition techniques, Yoga and Pilates, Nutrition and injury prevention, Choreographic development and performance opportunities. 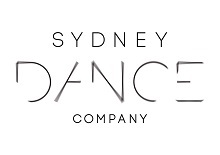 Sydney Dance Company’s Pre-Professional Year provides a unique opportunity for aspiring professional dancers to attend a one year, full time training course developing technique, artistry and performance skills alongside members of Sydney Dance Company led by Artistic Director Rafael Bonachela. At TDC we believe in providing high quality dance training in a warm, friendly and supportive environment. We offer classes in many styles for adults and children of all ages and ability levels. 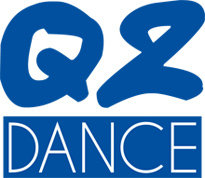 Some of our classes include ballet, jazz, tap,hip hop and contemporary and are located Wahroonga NSW. We teach the RAD and ADV syllabi. Check out our website for the current class schedule. Build confidence, coordination and grace while having fun. TDC is for the beginner, the committed dancer and for you! Come and experience the love of dance with us! 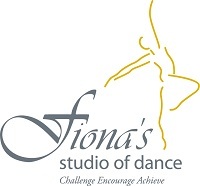 Style: RAD vocational exam coaching including solo seal, Advanced classical and contemporary open classes, Pas de Deux, Pilates, Repertoire, Pointe. Specialised Male Coaching, Competition & Audition preparation. Full time Vocational Individual Coaching in conjunction with external academic studies. By Audition Only. Provides students with a intensive and specialised foundation on which to build careers in professional dance, dance teaching and allied dance fields.